Welcome to Northland Email. The easy, centralized way to access your college email account. Email is the official means of communication. You only need one StarID: you can use the same StarID across Minnesota State to log into many services like email, D2L Brightspace, and more. 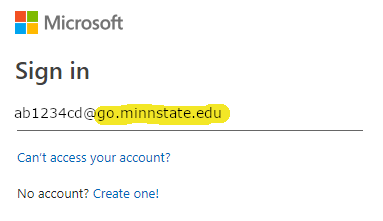 Change your password in one place — starid.minnstate.edu — and it changes everywhere. No one at Northland will ever ask you for your password in email! Don't become a victim of identity theft. If you are unsure of what your StarID or password is or have not yet activated your StarID, please visit the StarID Self Service portal to get your account information. Yahoo, HotMail, GMail, etc email accounts should NOT be used to email instructors or staff. Northland spam filters may block email from these accounts. Sign-up to receive NCTC eServices related alerts on your mobile phone. Contact an IT support specialist on your campus for further assistance.